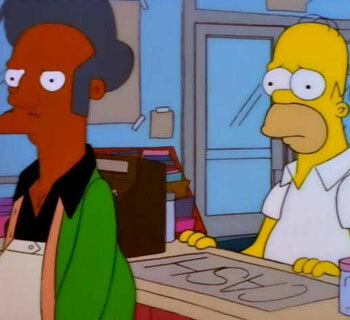 Homer: I’m feeling kinda low, Apu. Got any of that beer that has candy floating in it? You know, Skittlebrau. 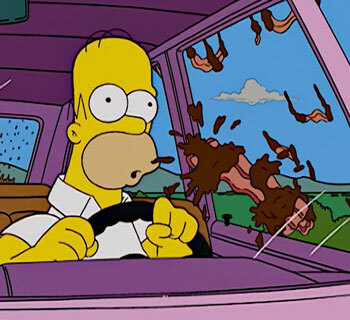 Homer: Oh. Well, then just give me a six pack and a couple of bags of Skittles. 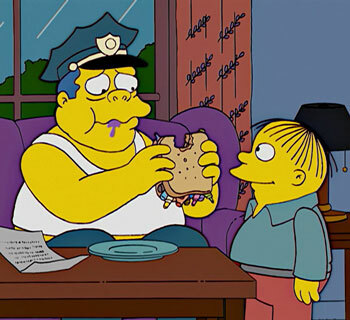 We all know Homer’s beer of choice is Duff. I’m not much of a beer connoisseur but I would say that the real world equivalent to Duff is probably Budweiser. Bud is about as non-offensive an American beer as you can ask for, which is why I’m using it for my Skittlebrau recipe. After doing some online research I’ve found that Skittlebrau is a pretty popular recipe to try and that many other beers have been used. Granted, Budweiser is no Düff (It’s from Sweden!) but I think it works well in getting as close to Duff as possible. Plus Duff seems to have had success with their Beer Smoothie, so this seems like a pretty similar idea. When it came to the Skittles I decided to go with the classic, original flavor. None of those tropical or berry flavored Skittles for THIS Skittlebrau! Also, can we take a moment to discuss the whole lime vs. apple flavor in Skittles? The only reason I bring this up is because (based on some internet research) the apple flavor isn’t very popular. Instead it seems some people miss the lime. I actually like both flavors so I don’t really have a problem with the apple. I believe that makes this one of the few instances where I’m not ranting about something trivial related to food! 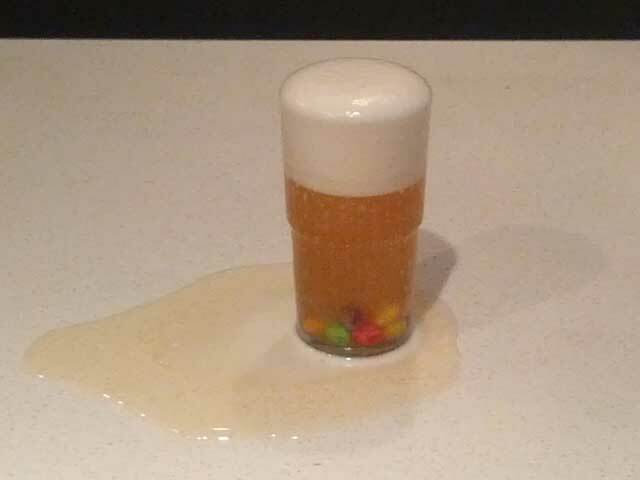 Add Skittles (to taste) into a glass; pour Budweiser into a glass with the Skittles – this is what I did. OR Pour Budweiser into a glass; add Skittles (to taste) – this is what you should do. For this recipe I added about a dozen Skittles of varying colors. One thing I wasn’t prepared for was the sheer amount of foam this combination created. Once the foam went down the drink itself was fine, as was the candy. My suggestion is that if you’re going to make your own version of Skittlebrau you add the candy AFTER you’ve poured the beer. I would also recommend trying this with Wild Berry skittles since I have a friend who enjoys any beer with this skittle combination.